Sajad Gani Lone, former Minister, and MLA Handwara, MLC Dr Shehnaz Ganai, Raja Manzoor Ahmad Khan met Governor Satya Pal Malik at Raj Bhavan on Monday. 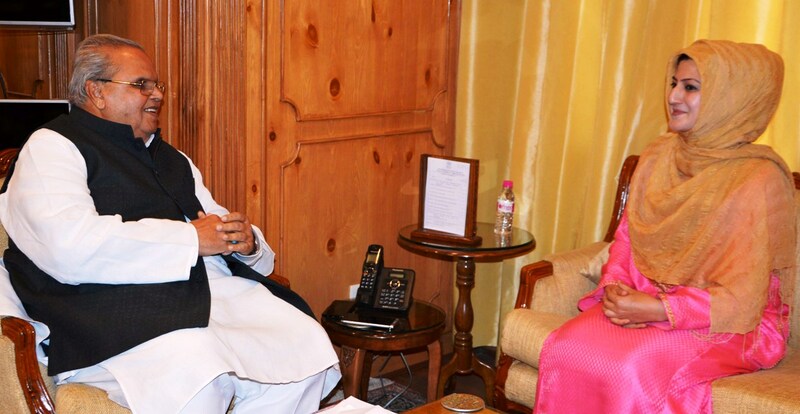 Governor assured due consideration of the issues referred to by Lone and urged him to continue his endeavours for promoting a peaceful environment and work zealously for advancing the interests of the people. 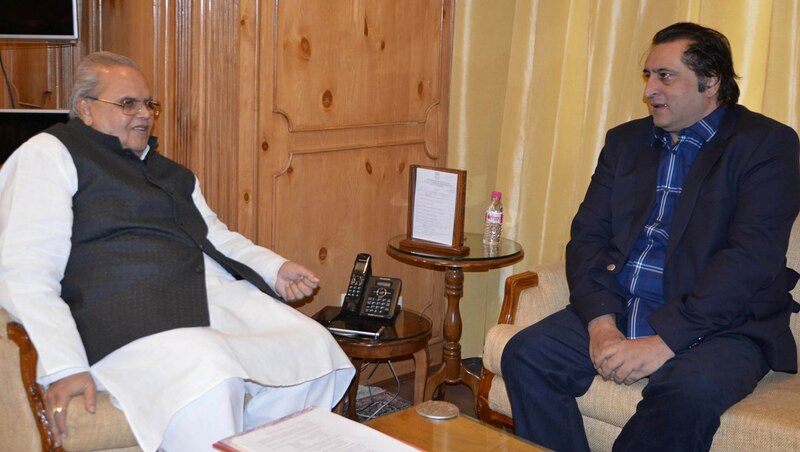 Dr Ganai apprised Governor about the pressing concerns of the people from Poonch district, especially the hardships faced by the border dwellers and requested the Governor for his support and intervention for their time-bound redressal. Among others the issues put forth during the meeting related to health, education, road connectivity, access to drinking water and establishment of sports infrastructure in Poonch. Governor assured Dr Ganai that all the issues raised during the meeting will be taken up for early resolution. Manzoor apprised the Governor about the various ongoing projects in his constituency, relating to health, education, power, sportsand infrastructure, which require the immediate attention of the administration. The Governor urged Manzoor to continue sustained efforts for promoting the development and the welfare of the people of his area besides, assuring that all his concerns will be taken up for resolution in an expeditious manner. Meanwhile, Professor Nazeer Ahmed, Vice-Chancellor, Sher-e-Kashmir University of Agricultural Sciences and Technology of Kashmir, met Governor Satya Pal Malik, Chancellor of the University, at the Raj Bhavan today. The Vice-Chancellor apprised the Governor about the overall growth witnessed by the University in recent years, besides various other expansion projects underway in the University. Besides, matters relating to University lands lying with the security forces, need for additional lands to establish apple nursery and KVKs , allocation of financial resources, re-organisation of available staff strength, filling up of vacant posts of scientific staff and implementation of academic reforms were also discussed. The Governor urged the Vice-Chancellor to ensure that high attention is paid, on a sustained basis, for improving the teaching programmes and achieving tangible outcomes in all the research areas.